In September 2018, TACA – The Arts Community Alliance – announced the 2018 grant recipients of our New Works Fund. 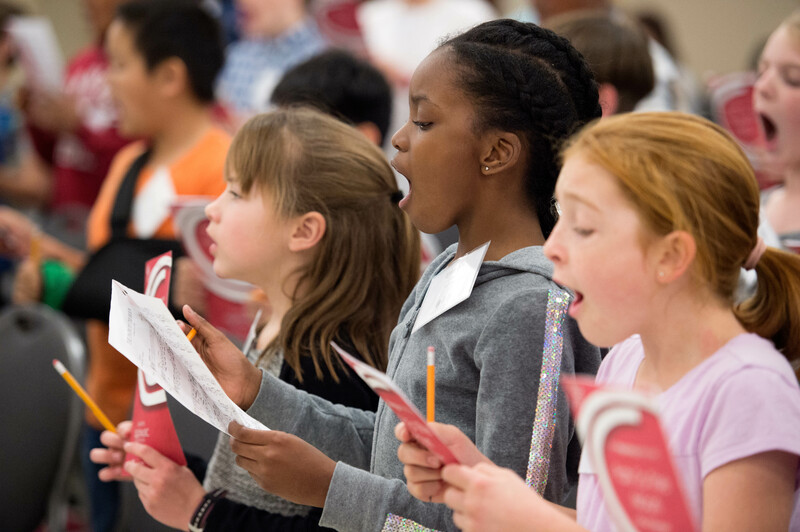 Of the four grant recipients, Children’s Chorus of Greater Dallas (CCGD) was selected to commission two brand new works for 4th, 5th & 6th grade students, an age group where new works are few and far between. These new works will have their World Premiere on Sunday, April 7, 2019 as part of CCGD’s Centuries of Song: Season Finale at the Meyerson Symphony Center. For this week’s special edition of #TACATuesday, TACA had the opportunity to ask Cynthia Nott, CCGD Artistic Director, about the importance of brand new works, their collaboration with composer Alan Bullard and the impact of Children’s Chorus of Greater Dallas in the community. TACA: Can you tell us a little about Children’s Chorus of Greater Dallas? Cynthia Nott: Children’s Chorus of Greater Dallas (CCGD) was founded 22 years ago by eight Dallas musicians. These musicians realized that while the city had many cultural resources, a key missing artistic piece was a children’s chorus. From that need, CCGD began. The organization started with just 75 singers in two choruses and has continually grown to now include over 500 singers in eight choruses. Monday night—when our rehearsals take place—is my favorite night of the week because 450 families, five conductors, six assistant conductors, and six accompanists travel from all over the metroplex to create beauty together. Our concerts are also a life-changing experience—one of our greatest accomplishments in 22 years was the decision to move our season concerts to the Meyerson Symphony Center. I love watching my fourth graders walk on to the Meyerson stage for the first-time to perform for more than 1600 people. It sends a message to their souls that the music they are creating is important and that they are worthy of creating it. In your opinion, why are brand new works important? What is the significance of a new work written for a children’s chorus? New works for any performing art is an expression of ourselves and our society at a point in time, which is why it is vitally important to continue supporting the creation of new works. While there is significant repertoire written for children’s voices from all around the world, in general, accomplished composers tend to write for older musicians such as orchestras, operas, or even well-established high school choruses. For our commissioning, I wanted to lift up the artistic potential of our youngest voices—fourth, fifth, and sixth graders. Critical in my search for a composer was finding one who saw these young voices as singing artists; she or he had to know what children are capable of. There is a misconception among many that children are only capable of singing simple nursery rhythms or folk tunes, so there is a gap in quality repertoire available for ages 10 to 18. There are also some misunderstandings about children’s voices—some composers write in a range that is not easily accessible for a child to express themselves. Alan Bullard understands what children are capable of, cognitively and as musicians, and that is why we chose him to write these new pieces. 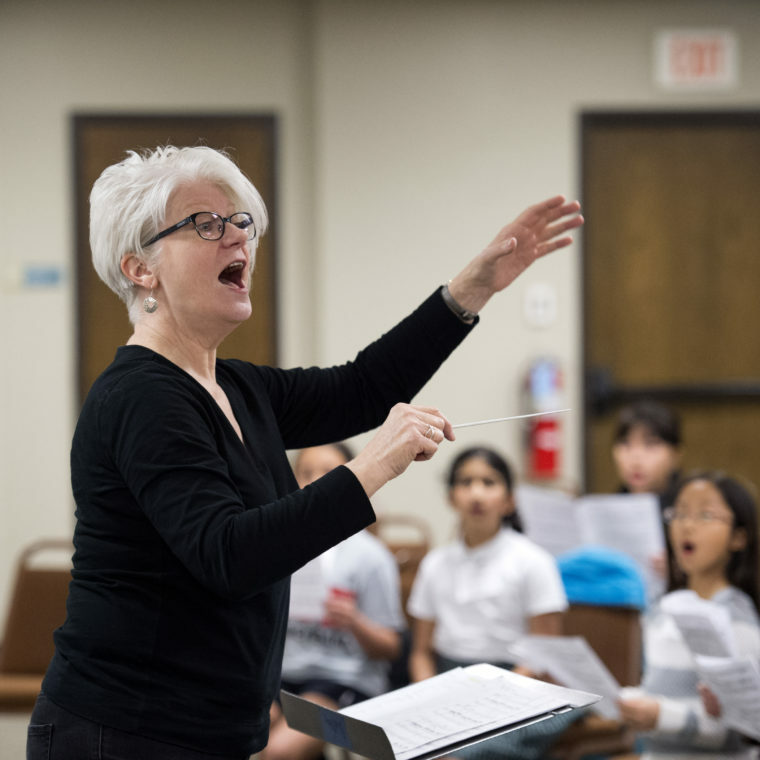 On April 7, 2019, Children’s Chorus of Greater Dallas will have the world premiere of two brand new works by composer Alan Bullard. What can you tell us about your collaboration with the composer? Europe has a long history of boys’ choirs; they have been the soprano and alto voices since the days of Handel and even William Byrd. America’s version of children’s choruses has expanded the ensemble to include young female voices. As a British composer, Alan Bullard has a unique understanding of the long history of children’s choruses and writes complex but accessible music for them. Our choruses have sung the music of Alan Bullard in the past, and the children have loved all of his pieces. His choice of text is interesting and creative—he chooses words of great poets rather than nursery rhymes. He understands how children can soar in their upper range and highlights this ability. His writing shows that children can sing an elegant phrase, at all dynamic levels, at different articulations. His pieces demonstrate his knowledge that children are capable of great artistry. The two works he wrote for Children’s Chorus—This is the Key and Song to the Moon—exemplify all of these truths. We are thrilled to give the world premieres. Following CCGD’s performance, Oxford University Press, one of the finest publishing houses in the world, will publish the works and make them available to children around the world. 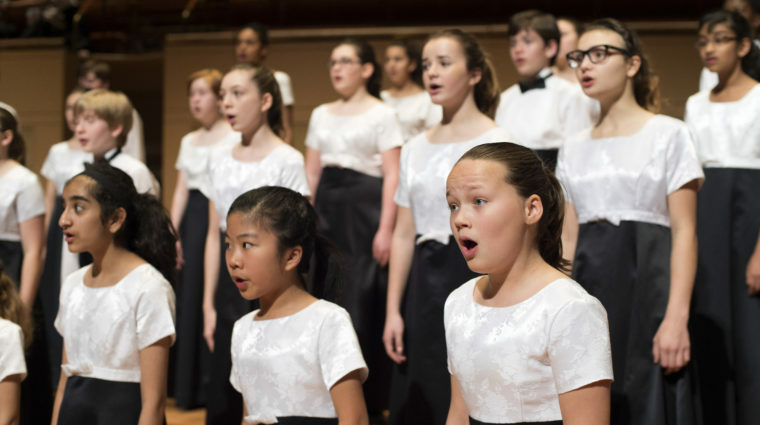 Why is the Children’s Chorus of Greater Dallas important to our arts and cultural scene here? Various choirs of CCGD rehearse in downtown Dallas. Children’s Chorus of Greater Dallas, along with other youth arts programs in our community, is critical to its health for two main reasons. First, the process of learning music and then the performance of music touches singers in a deep way—they become more human and more able to relate to each other. As our mission says, we are giving them an experience in choral artistry, and I believe this experience changes their lives. The second reason is that these young performers are the future of the arts and cultural community. They will be our performers and ticket buyers; they will support arts education because of the impact it had in their own lives; and they will raise their own children to be arts supporters in turn. When a child has an experience creating something really beautiful—particularly beautiful music—they enter the adult world more equipped to live fully, to participate, and to give back. For more information about the Children’s Chorus of Greater Dallas and their performance of This is the Key and Song to the Moon on April 7, 2019, visit http://www.thechildrenschorus.org/. The 2018 TACA New Works Fund was made possible by the Hersh Foundation, the Sapphire Foundation, and the Donna Wilhelm Family Fund.